WASHINGTON -- The Justice Department has made clear its proposed ban on transgender military recruits is on hold, meaning their enlistment can start Monday. 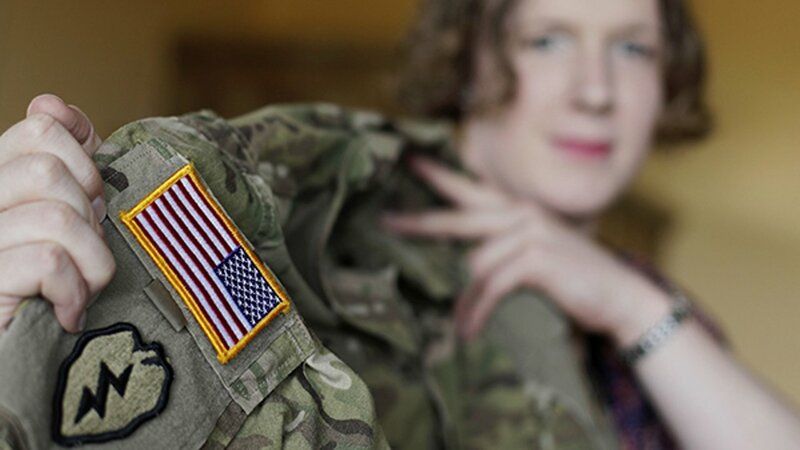 But the future for transgender people in the armed forces remains murky. The Justice Department isn't dropping its court fight to institute the ban on transgender enlistment but said Friday it would wait for a Pentagon study on the issue in coming weeks before deciding what to do next. President Donald Trump said in July that the government would not allow transgender people to serve in the military, reversing Obama-era policy. So far he's been unable to achieve that prohibition. On Dec. 22, a panel of the federal appeals court in the District of Columbia refused the Trump administration's request to let the ban start Jan. 1. Other federal judges have also refused to side with the administration. The Pentagon said then that it would allow transgender enlistment to start with the new year and continue as legal struggles play out. The Justice Department said late Friday the Pentagon "will be releasing an independent study of these issues in the coming weeks," so the administration will not litigate an appeal in the meantime. That stance clarifies that enlistments can start Jan. 1 and existing transgender service members are protected from being discharged at least for now. "We are relieved that we don't have to hit pause on the constitutional rights of transgender people who are willing and able to serve our country," said Peter Renn, senior attorney for Lambda Legal, one of the groups fighting the ban in court.